We’ve been watching and following your feedback since the switch to dedicated servers in HUT. After reviewing the feedback and looking over internal data, we will be adding in two new dedicated server locations. Additionally, we’ve identified a bug where the Network Performance screen was displaying a user’s response time incorrectly. This will be fixed in an upcoming patch. Find out more details about each of the two changes below! We have identified a visual bug that is currently causing the Ping Response Time in the Network Performance screen to only display half of a user’s actual Ping Response Time. This will be fixed in an upcoming patch so that the Network Performance screen will now display your correct Ping Response Time. This was a visual bug only and this fix will not impact your connection. Are these new servers only used for HUT? EASHL too; anything that uses dedicated servers will use these new locations! In addition do bmore's question can you identify which city or state the central NA server is? > Are these new servers only used for HUT? Nevermind I found the answer from the community manger on twitter. The answer is the servers are for eashl too, because that game mode uses dedicated servers also. Look at the replies on @theflopfish to confirm. 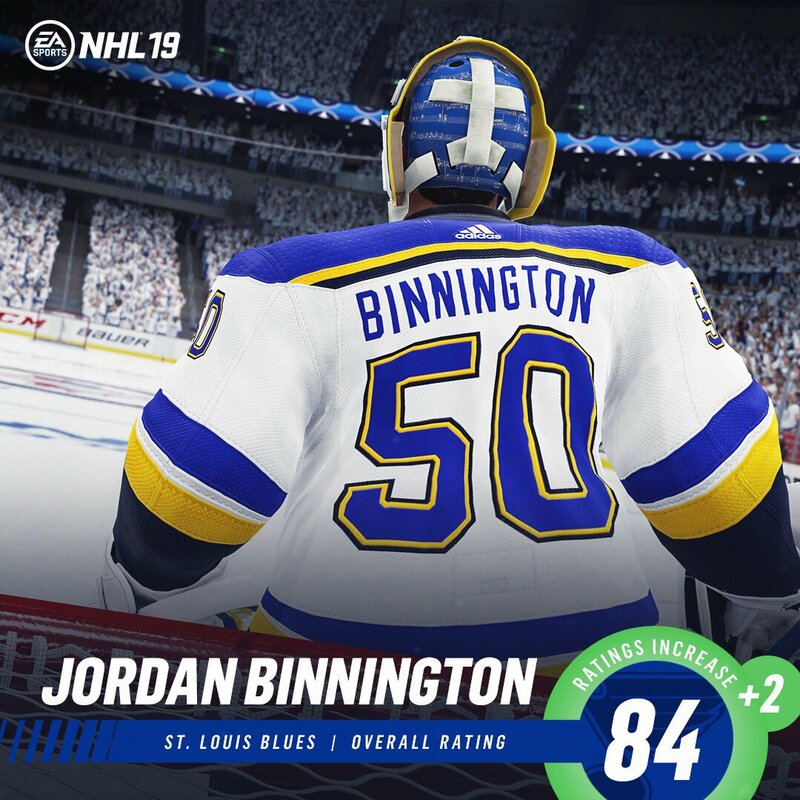 This is fabulous news good job @EA SPORTS! What is the "additional location in Europe"
I'm super excited to see if this has an impact on my EASHL experience. I'm from the west coast, and it's a real drag having to play on the East coast servers the majority of the time. Hopefully the logic is such that it chooses the central server for games featuring a mix of east and west coast players. Thank you guys so much for this though. Improvements to your network have been my most requested feature forever, and I'm really excited to see how it works out. Thanks for the reply, that is great news! Wow, I am pleasantly surprised. Good job EA. Nicely done. This will surely improve quality for many users. Wow this is great news. Not sure what is meant by half ping response time though. EASHL connection is so inconsistent. Some games I feel like im playing offline and the game is running smooth as butter and im flying out there. Other times I feel like a fatman and I can barely turn and position my guy. Ping is almost always the same either way. They don't even state it's in central europe. Where did you came up with that? They claimed the ping you were seeing was incorrect this whole time.. a bug! They are fixing it in the upcoming patch so any ping You saw was incorrect which is why it showed the same always. These servers should improve the east west gap immensely! And hopefully we can see true network performance charts once the patch roles out! One in Europe and one in Central North America. So you are correct, no mention of Central Europe. They can certainly give a state. Saying a server exists in Texas is in no way compromising security. Don't take this the wrong way, but I think EA knows what EA is allowed to say more than you do. I don’t think it matters what state the server is in man! the fact that EA and the Dev team is listening to the dedicated fans and customers and actually implementing changes that have been voiced for months by all the feedback is something to be happy about. Seems some people just gotta keep raggin about the smallest concerns even on one of the most positive update threads to hit these forums this season! Awesome that would be so much more helpful. If there are in fact now two servers (or more?) in Europe, ones hopes they're not in the same location, like both in Central Europe? Maybe one for Nothern Europe and one for Central, or one for Central and one for Eastern Europe? Addition of a Central server is great and long overdue for EASHL. How did it take 4-5 years to notice the network performance numbers were only one way? Its been brought up on these forums plenty of times.